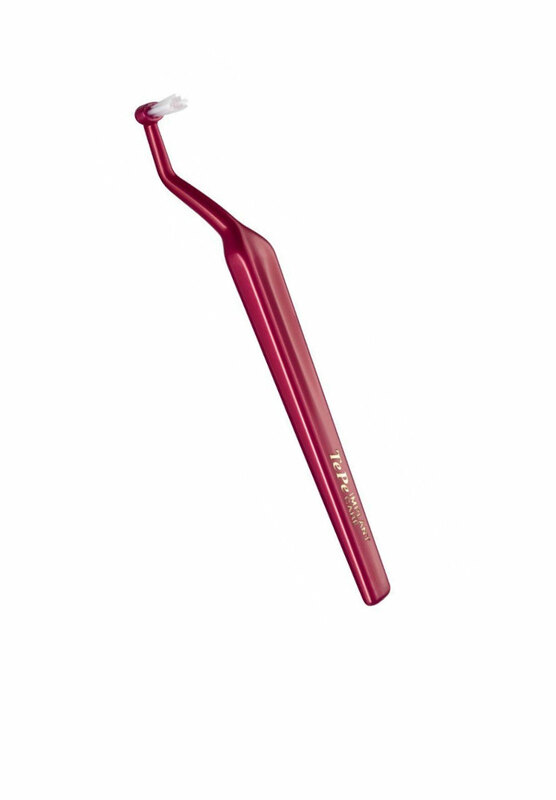 An innovative implant brush with a unique design for easy access. The angle of the neck provides improved access to difficult to reach surfaces of implants. The slim shape of the brush head facilitates cleaning even in very narrow areas. Soft, end-rounded filaments ensure gentle cleaning. TePe Implant Care has an angled neck, which makes it easier to clean the implant abutments from the inside. The slim brush head reaches even very narrow areas. Soft, end-rounded filaments ensure a gentle clean.